• The integration of search and social is a continued effort and will become more important for businesses to understand how to market in the new landscape. • Major changes within social networks and search engines in 2011 continue to evolve search marketing strategy. • In 2012, the focus in search marketing continues to be on the user, but amplified. Yet another year has passed in the SEO industry, and if you thought 2010 was busy, 2011 has proven once again that the Search Engine Optimisation industry is changing more rapidly year over year. Of course, the key highlights of 2011 were Panda, Mobile and Google+. This year’s SEO report also covers the rise of Facebook and the increased importance of social signals for rankings, fresher and richer search results, improved indexation of the Web by Google and the Yahoo/Bing integration. 2011 was the year of a much smarter Web, an increasingly competitive social media space, and tremendously positive results for those who followed a white hat SEO approach. As the Web gets smarter, websites are changing and tailoring their content to users. Websites today integrate geo-localisation features and social platforms, adapt to user devices and change content based on user behaviour. Search engines respond to this fast-moving environment by constantly releasing new features. These new developments have brought increased challenges to SEO experts across the globe as they constantly adapt to these new technologies. Far from dying, optimising websites for search engines has become a much-needed advanced expert skill that requires deep technical knowledge of websites, social media, conversion rate optimisation, servers and mobile devices. We are indeed moving into an Internet Marketing Optimisation era. 2011 witnessed the beginning of a social media tussle between Web giants Google and Facebook. Each with their own unique approach, they have deeply influenced the way we consume the Web by modifying our search behaviour. Google released its +1 button, followed by Google+, the Google+ business pages, and finally Search, plus Your World (or Search Plus for short), all of which demonstrate a significant commitment to social. The +1 appears as a clear direct competitor to the Facebook Like button, especially when +1s become public followed links. Google's +1s can have a direct effect on organic rankings, especially in the new Search Plus SERPs. Google+ is a hybrid product, competing with both private and public social worlds. Some argue it is best used as the internal chat room for Google employees, others see it as a serious competitor to Facebook and Twitter, especially with deep, bold, and controversial integration like Search Plus. With Google’s more than prominent spot in the online advertising industry, many companies are making Google+ their next Internet marketing strategy priority for 2012. We have yet to see how successful Google+ will become in 2012, but until then, companies can’t afford not to be on board, it’s a defensive strategy before anything else. Facebook has changed numerous features so that now, we hardly recognise the Facebook of 2010, pushing its off-site integration to gain real-estate in the social graph. With the release of the new layout, "Timeline," the update of comments, the new social graph, the integration with Skype and massive development of its gazillion apps, it's needless to say Facebook currently leads the charge, as far as the social media war goes. The new Facebook layout has reduced the emphasis on the different tabs users had in their news feeds to give more predominance to the actual feed itself. This has one major consequence for Facebook publishers: the crucial need to maintain high engagement at the risk of getting buried under the Facebook EdgeRank filters. As some of you may know, we have always preached White Hat SEO at Bruce Clay, and while it does bring some level of frustration when we witness clear link spam on vanity keywords with few penalties whatsoever, we do still collect the benefits of our White Hat, long term strategy by applying these principles on our clients' sites. Even though Google took swift, demonstrable action in 2011 to downgrade search rankings for high-profile sites, such as J.C. Penney and Google's own Chrome team, we are still awaiting the long-promised global take-down of great listings from non-White Hat practices. Another good outcome was the release of Panda and the fresher Web, which had a positive effect on those who have invested so much time, effort and money in creating regular, unique and quality content. Once again, their efforts have been rewarded in the long run. Finally, the efforts taken to enrich websites with structured mark-ups has improved click-through rates significantly, reducing the dependency on rankings through internally controlled factors. The same goes for other conversion efforts that have improved bounce rate thanks to a better preview and user experience, improving the relevance score from a search engine perspective. Serve them awesome content regularly. Increase the number of touch points with them by integrating with social platforms. Spend time creating advanced, cross-platform user-engagement strategies. Allow them access to your information wherever they are through mobile sites and apps. Make their lives easier by facilitating their access to your information, products and services. Reinforce your local presence and geo-location services. You can read more about these and more. 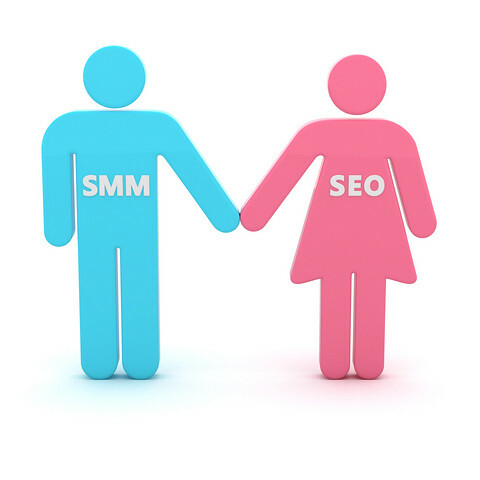 Download the SEO Factors & Trends Report 2012. For permission to reprint or reuse any materials, please contact us. To learn more about our authors, please visit the Bruce Clay Authors page. Copyright © 2012 Bruce Clay, Inc.